Spiral wound with tear-resistant backing fabric. For grinding and finishing edges, profiles, welded joints etc. For use with power tools. Aluminium Oxide for use on most metals. Aluminum Oxide, Silicon Carbide or Zirconia materials are used for sanding and finishing of curved and contoured surfaces. 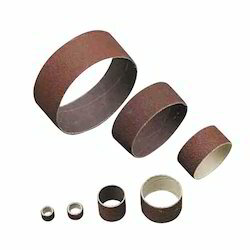 Abrasive Sprial bands are to be used with abrasive rubber expanding drums. Prices listed for Aluminum Oxide & Silicon Carbide. Zirconia and Ceramic price = list price x 1.75. 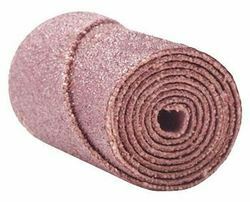 We bring forth our vast industrial experience and expertise in this business, involved in providing Abrasive Band.